This resurrection Sunday Pastor Blake teaches the final message in our Faith or Fear series from Genesis 22 about Abraham and Isaac. As Abraham went up on mount Moriah he was instructed by God to sacrifice his son. Abraham's faith was shown because not only was obedient to God but he believed if he was asked to sacrifice his son of the promise that God could resurrect Isaac in order to bring His promise to come to pass. As we continue our series on the life of Abraham, Faith or Fear. This Sunday Pastor Blake teaches from Genesis 21. God brought His promise to pass after 25 years and Abraham and Sarah had a son, Isaac. Sarah's laughter of disbelief was changed into laughter based in faith and the fact that God brought his promise to pass even through she was 25 years older. As we continue our series on the life of Abraham, Faith or Fear. This Sunday Pastor Blake teaches from Genesis 20. Even though it has been years later, Abraham is faced with standing before a king and once again is not truthful about his relationship with this wife Sarah. This time God protects them both by warning King Abimelech in a dream not to touch Sarah. Even though we fail God is faithful. As we continue our series on the life of Abraham, Faith or Fear.  This Sunday Pastor Blake teach from Genesis 18. In their old age, Abraham and Sarah were reminded of the promises mentioned to them many years ago. The promises of a son that would be the beginning of their descendants. Even though Abraham was past childbearing age and Sarah laughed and doubted God's promise it didn't change God's faithful to deliver on what he promises. As we continue our series on the life of Abraham, Faith or Fear. This Sunday Pastor Blake teach from Genesis 17. Despite Abram and Sarai coming up with their own plan to bring a son of promise to come to pass through Hagar God tells them that they will have a son of their own. It is in this passage that the covenant of circumcision is put into affect. As we continue our series on the life of Abraham, Faith or Fear. This Sunday Pastor Blake teach from Genesis 16:1-17:1. God made a promise to Abraham to make him the father of many nations. After some time Abram's wife Sarai knowing that she was older and seemed to be barren suggested that her and Abram try to make God's promise come to life on their own. As we continue our series on the life of Abraham, Faith or Fear. This Sunday Pastor Blake teaches from Genesis 15:7-21. Abram's faith was rewarded by discovering he was going to have descendants which would mean that he needs to have children of his own in order to make this happen. As we continue our series on the life of Abraham, Faith or Fear. This Sunday Pastor Blake teach from Genesis 15:1-7. It was at this time that Abram believed God would make the number of his descendants like the stars even though Abram was without a child at the time. 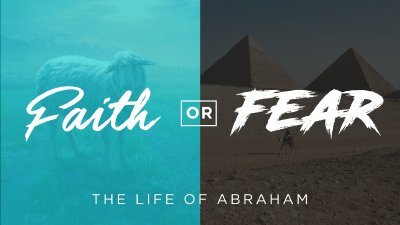 As we continue our series on the life of Abraham, Faith or Fear. This Sunday Pastor Blake teach from Genesis 14:17-24. Abram rescued Lot and was victorious in battle along with his 300 trained men. Abram honored Melchizedek and gave him a tithe as a way to honor God for the victory. Abram did not take any spoils of war and was satisfied with the victory God granted them. As we continue our series on the life of Abraham, Faith or Fear. This Sunday Pastor Blake teach from Genesis 14:10-16. Lot had just left under Abram's blessing and went to live in Sodom. After hearing that Lot was kidnapped Abram gathered his 300+ trained men and went forward in faith to save his family member. As we continue our series on the life of Abraham, Faith or Fear. This Sunday Pastor Blake continues to teach from Genesis 13:1-18 about Abram and Lot (his nephew). Abram and Lots possessions have grown to the point where Lot decides to part ways with Abram and Abram is reminded on God's initial promise and he moves forward in that promise. As we continue our series on the life of Abraham, Faith or Fear. This Sunday Pastor Blake continues to teach from Genesis 12:10-20 about how Abram feared Pharaoh and the Egyptians and came up with his own plan to say that Sarai (his wife) was his sister because FEARED they would take his life if he said they were married. God already promised Abram that he would make him a great nation so how is it that God would allow Abram to be killed from the Egyptians? God's promise included protection. As we continue our series on the life of Abraham, Faith or Fear. This Sunday Pastor Blake continues to teach from Genesis 12 about how Abram not only HEARD God’s voice but OBEYED God’s voice and took a radical step of faith to leave everything he knew and was comfortable with in order to trust God. With the start of a new year we will begin a new series on the life of Abraham, Faith or Fear. This Sunday Pastor Blake teaches from Genesis 12 about how Abram was called to leave his family and area of comfort and rely on what God told him by faith. Even though Abram had never heard God's voice, he heard it for the first time and responded in faith.